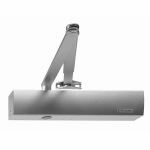 With the Geze TS4000V Size 1-6 Silver Door Closer 102843, the closing force is determined from the front. The opening buffer and the thermo stabilised closing speed with large optical display can also be regulated. Door closers are fundamental for fire emergencies and with the Geze TS4000V Size 1-6 Silver Door Closer 102843 it allows the option of hold-open range at 150Â° (via the hold-open arm), this is different to the other door closers you may have come across before! 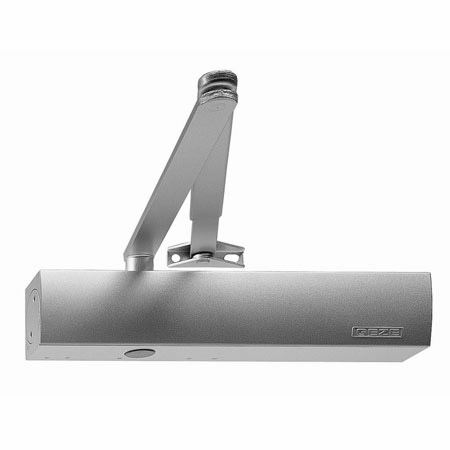 Great door closer, but the rear fixing plate should be included in the box.